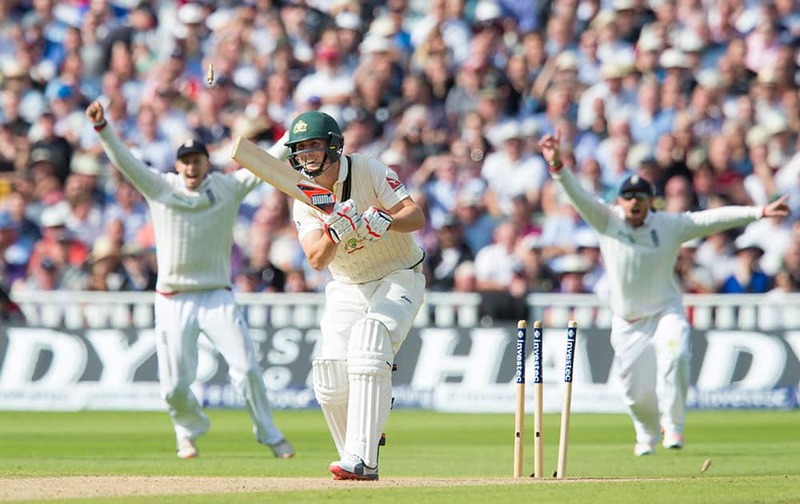 England’s Joe Root celebrates after England beat Australia by 8 wickets during day three of the third Ashes Test cricket match, at Edgbaston, Birmingham, England. 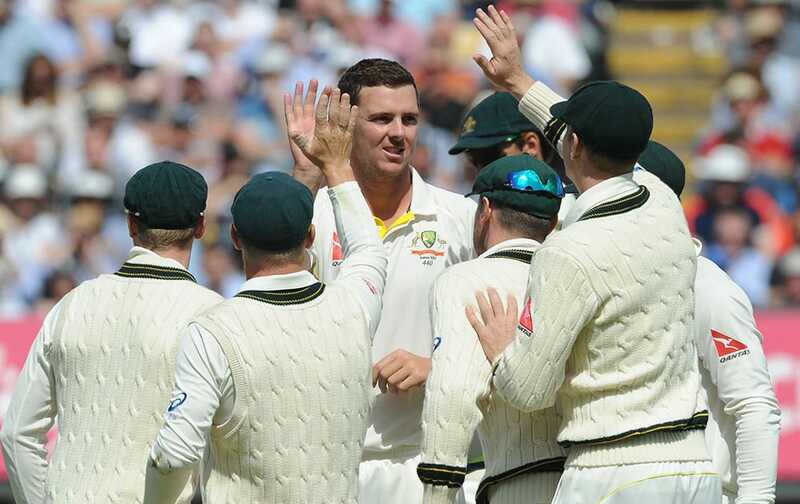 Australia’s Josh Hazlewood is congratulated by teammates after trapping England’s Adam Lyth LBW during day three of the third Ashes Test cricket match, at Edgbaston, Birmingham, England. 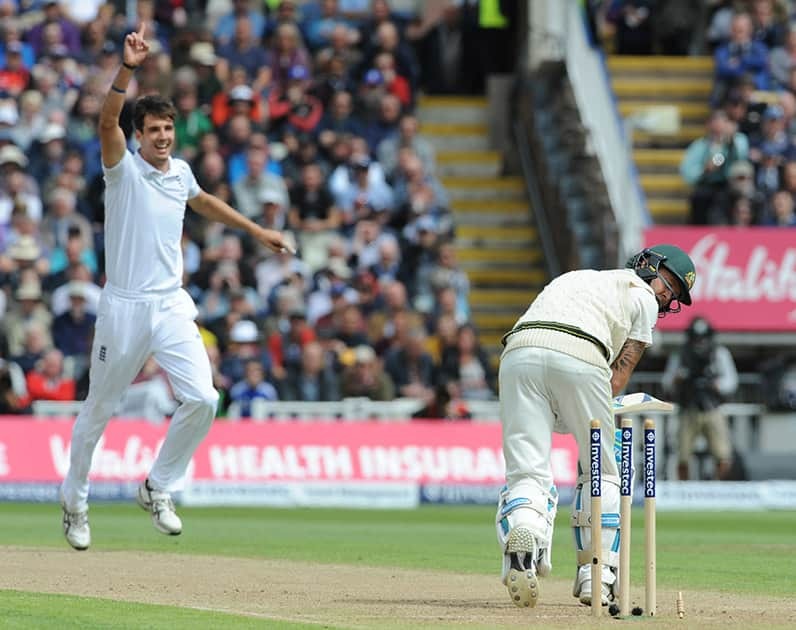 England’s Alastair Cook bowled by Australia’s Mitchell Starc during day three of the third Ashes Test cricket match, at Edgbaston, Birmingham, England. 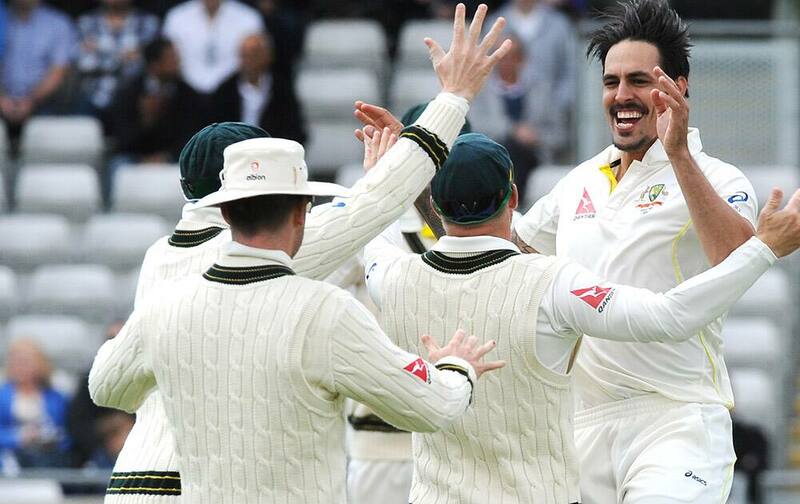 England’s Steven Finn acknowledges the fans after finishing with six wickets during day three of the third Ashes Test cricket match, at Edgbaston, Birmingham, England. 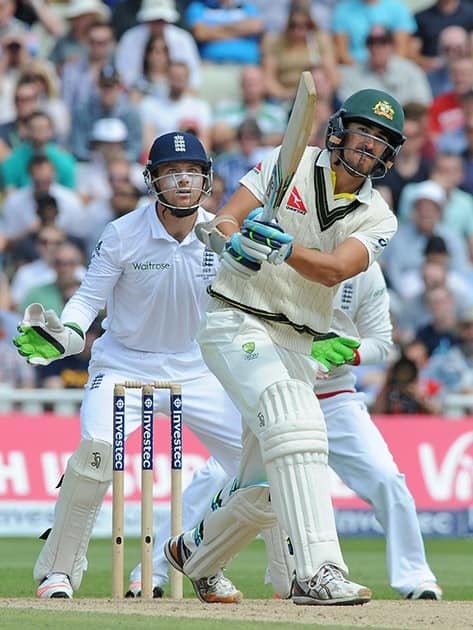 Australia’s Mitchell Starc plays a shot during day three of the third Ashes Test cricket match, at Edgbaston, Birmingham, England. 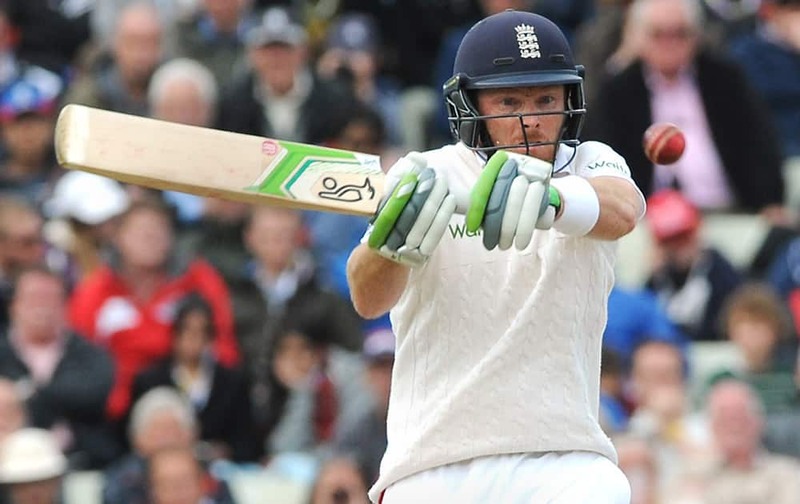 England’s Ian Bell celebrates with England’s Jos Buttler after Australia’s Peter Nevill is bowled by England’s Steven Finn caught Jos Buttler for 59 runs during day three of the third Ashes Test cricket match, at Edgbaston, Birmingham, England. 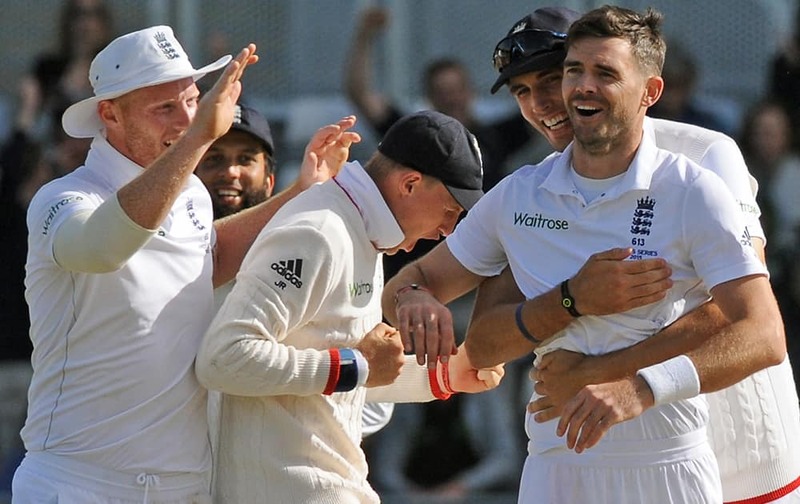 England’s James Anderson, celebrates with Steven Finn, 2nd right, Ben Stokes, left and Joe Root after bowling Australia’s David Warner, caught Adam Lyth for 77 runs during day two of the third Ashes Test cricket match, at Edgbaston, Birmingham, England. 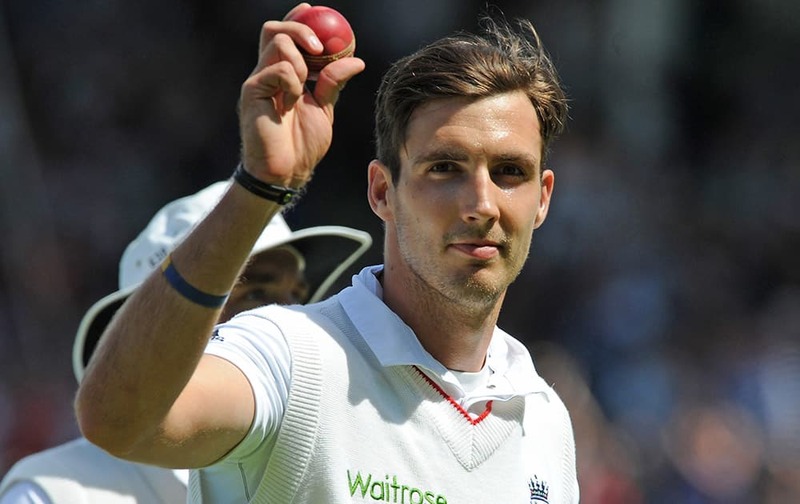 England's Steven Finn, celebrates taking his fifth wicket of the day, that of Australia's Mitchell Johnson, caught by Ben Stokes for 14 on the second day of the third Test match of the five match series between England and Australia at Edgbaston cricket ground in Birmingham, England. 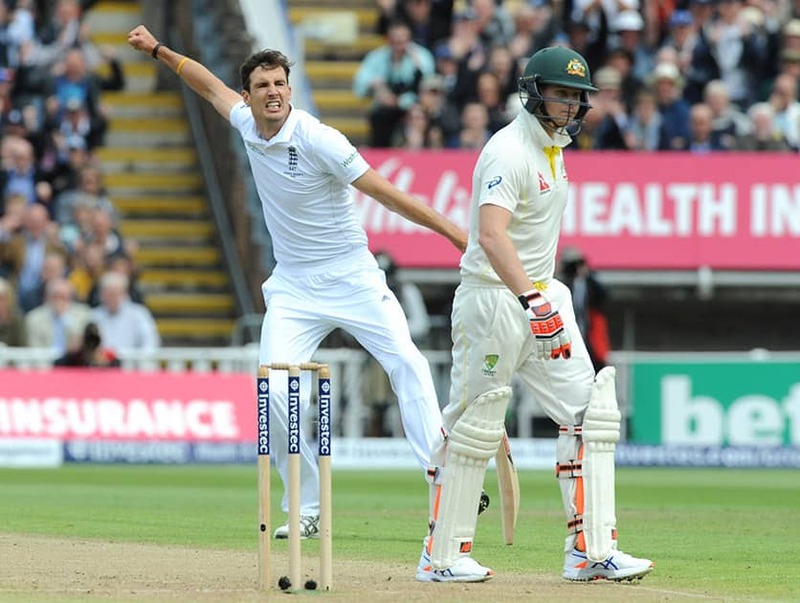 Australia's Mitchell Marsh is bowled for six by England's Steven Finn on the second day of the third Test match of the five match series between England and Australia at Edgbaston cricket ground in Birmingham, England. 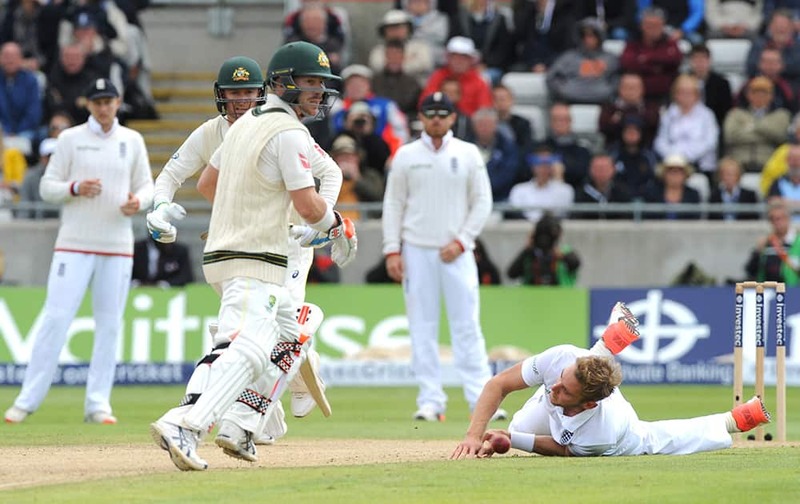 England’s Stuart Broad, right, attempts to stop the ball watched by Australia’s David Warner, left, during day two of the third Ashes Test cricket match, at Edgbaston, Birmingham, England. 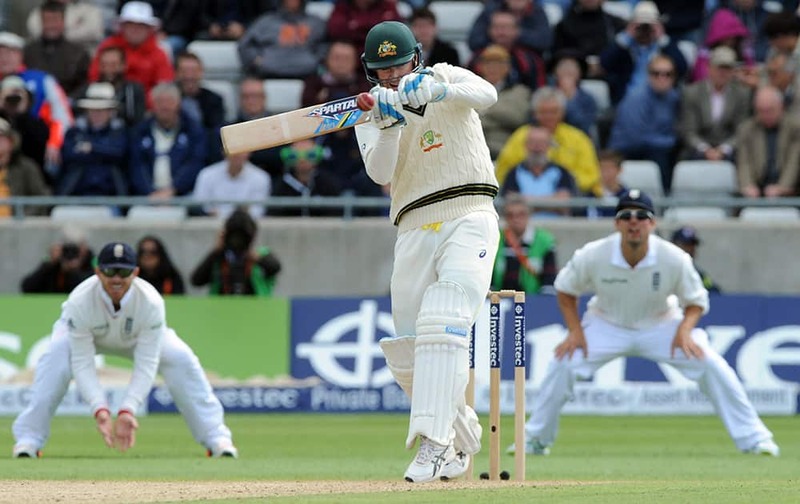 Australia’s Michael Clarke plays a shot during day two of the third Ashes Test cricket match against England at Edgbaston, Birmingham, England. 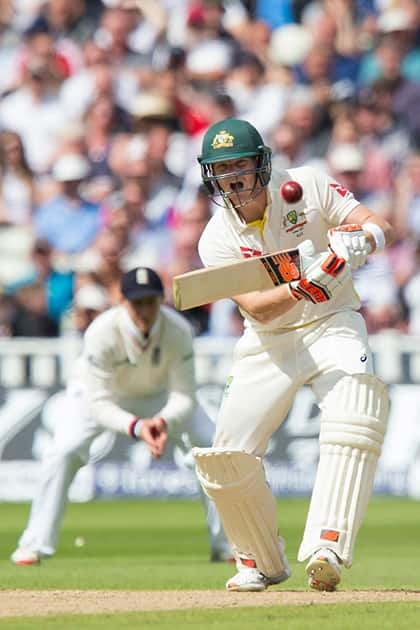 Australia's Steven Smith bats on the second day of the third Test match of the five match series between England and Australia at Edgbaston cricket ground in Birmingham, England. 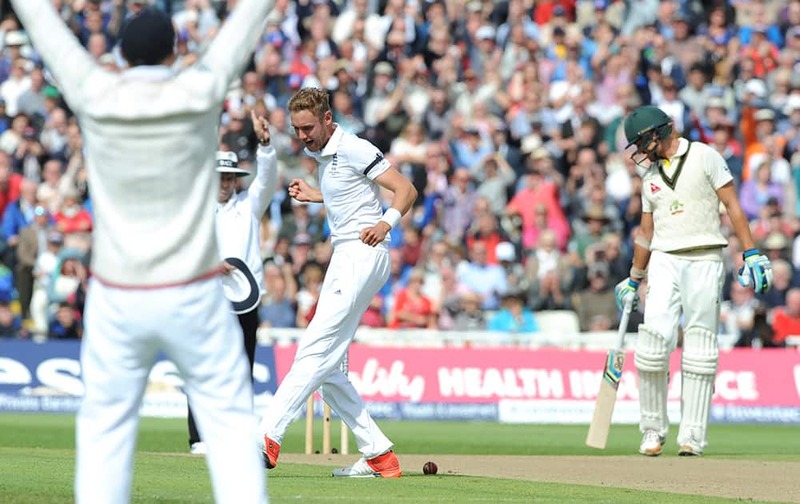 England’s Stuart Broad, right, celebrates after trapping Australia’s Chris Rogers, left, LBW for 6 runs during day two of the third Ashes Test cricket match, at Edgbaston, Birmingham, England. 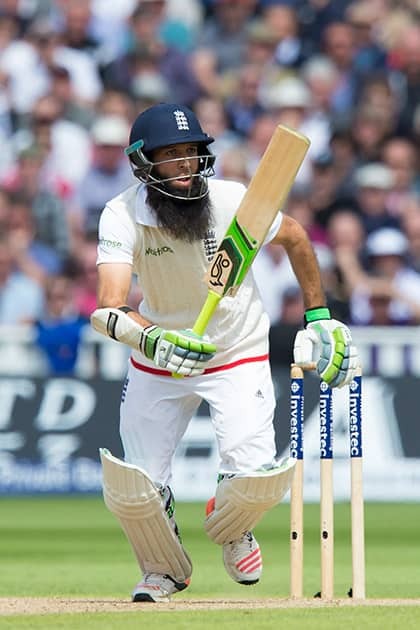 England's Moeen Ali bats on the second day of the third Test match of the five match series between England and Australia at Edgbaston cricket ground in Birmingham, England. 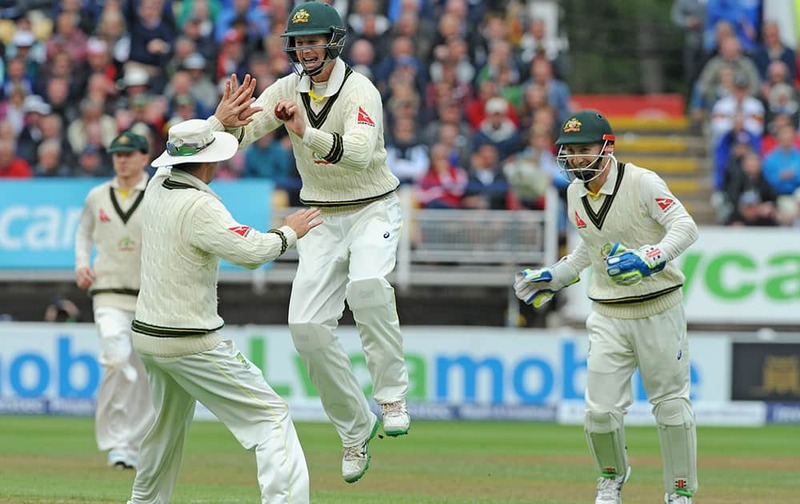 Australia’s Peter Nevill celebrates after England’s Jos Buttler is trapped LBW by Australia’s Nathan Lyon for 9 runs during day two of the third Ashes Test cricket match, at Edgbaston, Birmingham, England. England's Jonny Bairstow reels away from as bouncer as he looses his wicket for 5 caught by Peter Nevill off the bowling of Australia's Mitchell Johnson on the second day of the third Test match of the five match series between England and Australia at Edgbaston cricket ground in Birmingham, England. 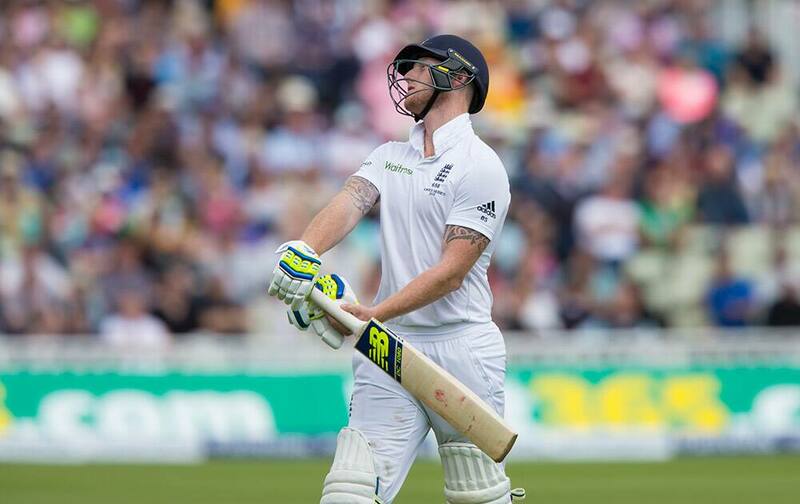 England's Ben Stokes walks from the pitch after being caught on 0 by Peter Nevill off the bowling of Australia's Mitchell Johnson on the second day of the third Test match of the five match series between England and Australia at Edgbaston cricket ground in Birmingham, England. 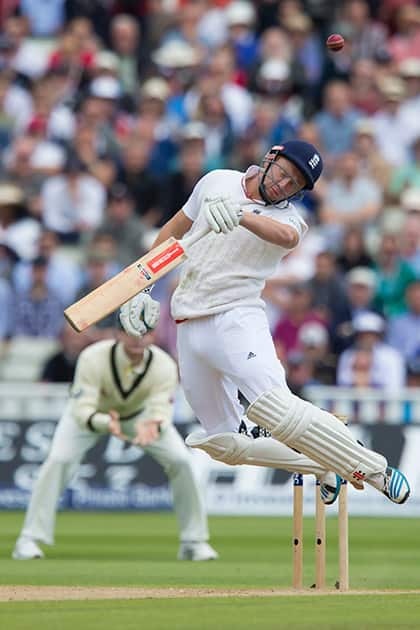 England’s Ian Bell plays a shot during day one of the third Ashes Test cricket match, at Edgbaston, Birmingham, England. 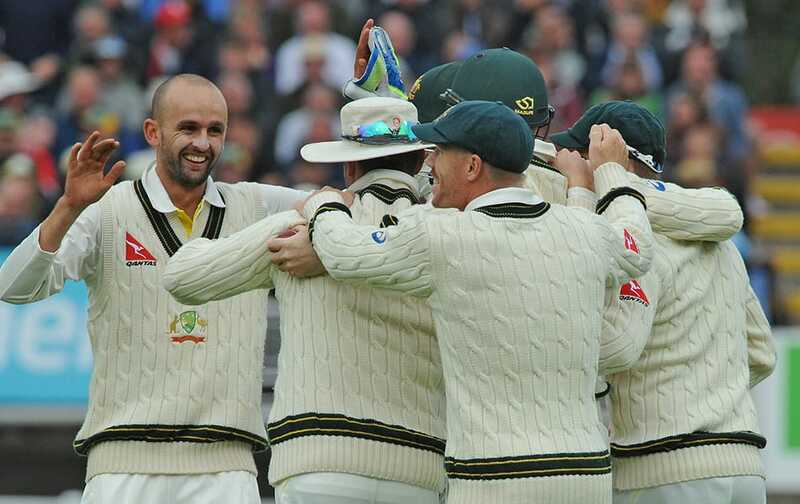 Australia’s Nathan Lyon celebrates with team mates after he bowled England’s Alastair Cook caught Adam Voges for 36 runs during day one of the third Ashes Test cricket match, at Edgbaston, Birmingham, England. 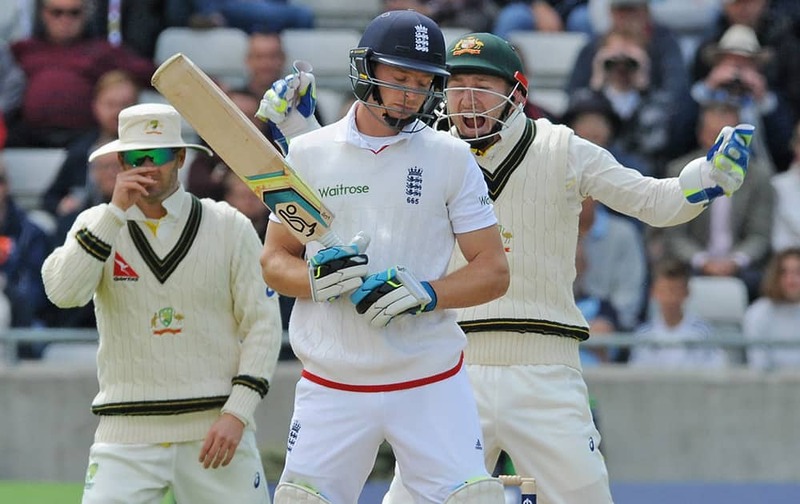 Australia’s Adam Voges celebrates with Michael Clarke and Peter Nevill after he caught England’s Alastair Cook bowled Australia’s Nathan Lyon for 36 runs during day one of the third Ashes Test cricket match, at Edgbaston, Birmingham, England. 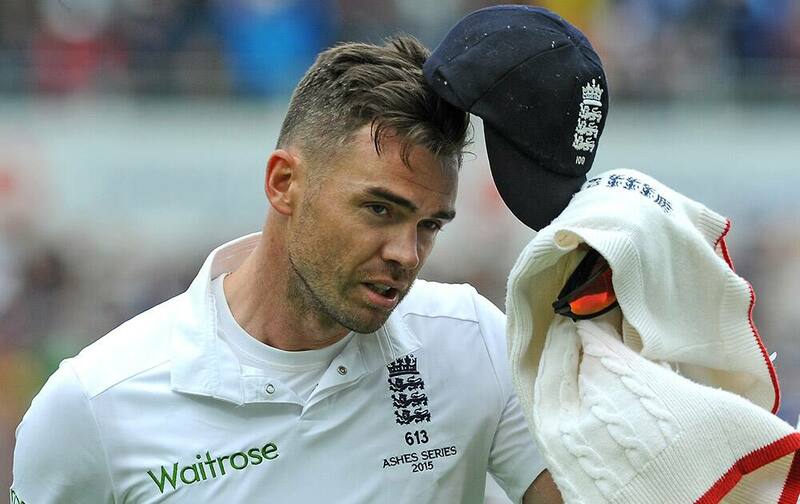 England’s James Anderson acknowledges applause from the fans after getting six wickets against Australia during day one of the third Ashes Test cricket match, at Edgbaston, Birmingham, England. 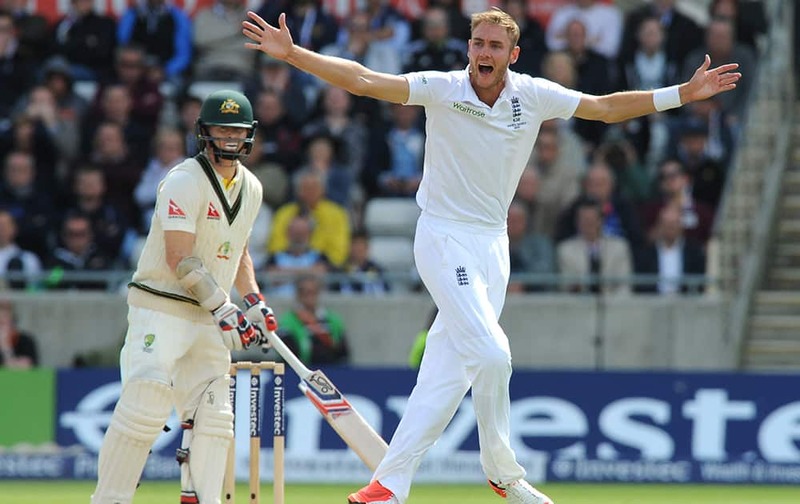 England’s Stuart Broad celebrates after trapping Australia’s Chris Rogers LBW for 52 runs during day one of the third Ashes Test cricket match, at Edgbaston, Birmingham, England. 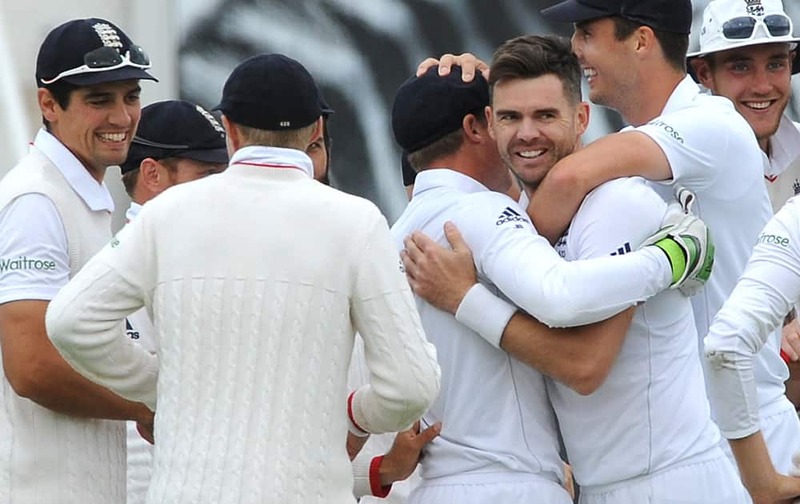 England’s James Anderson celebrates with team mates after bowling Australia’s Mitchell Marsh caught England’s Jos Buttler for a duck during day one of the third Ashes Test cricket match, at Edgbaston, Birmingham, England. 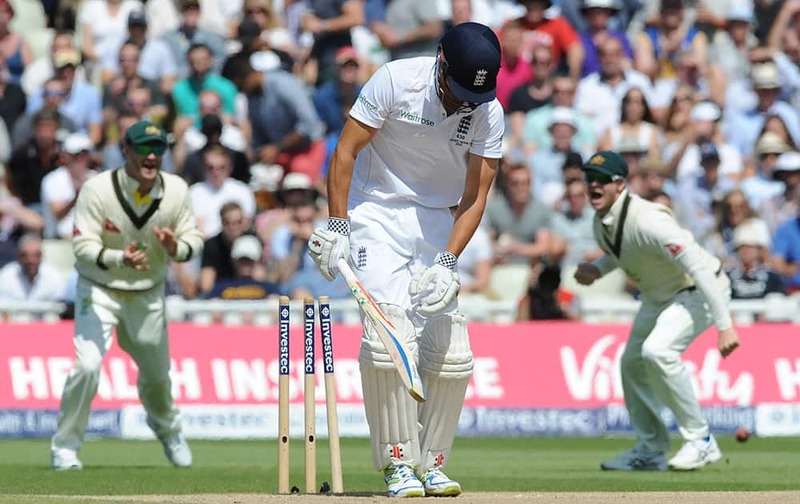 Australia’s Michael Clarke is bowled by England’s Steven Finn for 10 runs during day one of the third Ashes Test cricket match, at Edgbaston, Birmingham, England. 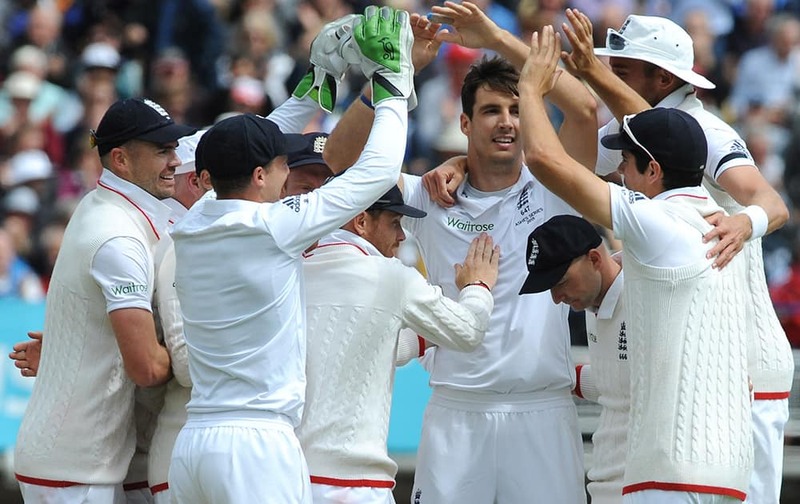 England’s Steven Finn celebrates withteam-mates after bowling Australia’s Michael Clarke for 10 runs during day one of the third Ashes Test cricket match, at Edgbaston, Birmingham, England. 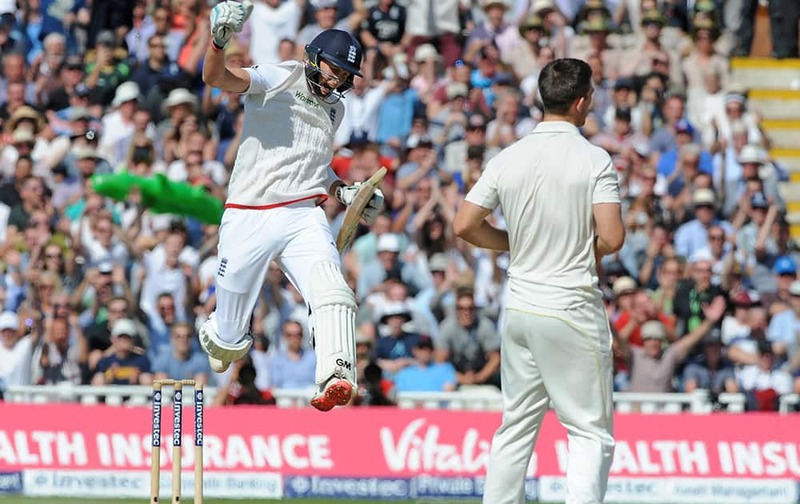 England’s Steven Finn celebrates after bowling Australia’s Steven Smith, caught Alastair Cook for 7 runs during day one of the third Ashes Test cricket match, at Edgbaston, Birmingham, England. 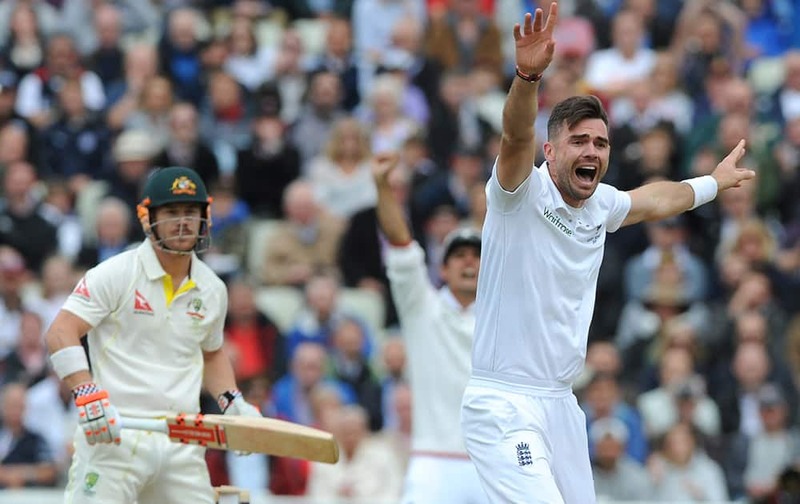 England’s James Anderson celebrates after trapping Australia’s David Warner, LBW for 2 runs during day one of the third Ashes Test cricket match, at Edgbaston, Birmingham, England. 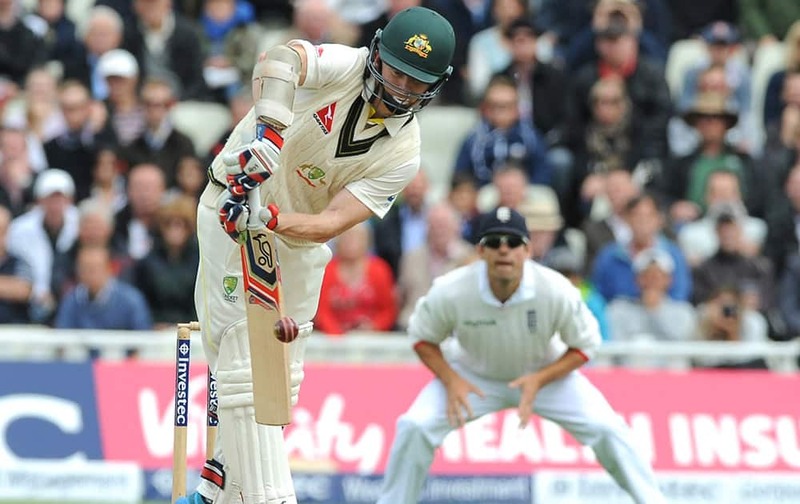 Australia’s Chris Rogers plays a shot during day one of the third Ashes Test cricket match, at Edgbaston, Birmingham, England.